The seaport city of Jacksonville is the biggest city by population in both the state of Florida and the southeastern U.S., with close to 900,000 residents. As the cultural and economic center of North Florida, Jacksonville is also a major hub for U.S. Defense Forces, including two Navy bases. There are over 20 funeral homes in Jacksonville, Florida, serving the city’s diverse communities. Jacksonville funeral homes are likely to have experience providing funerals for a range of cultures and religions. The largest religious group in the city is Protestantism, including Evangelical and Mainline Protestant denominations, comprising 1,200 congregations across the city. Catholicism is less widespread in Jacksonville, although the Catholic Diocese of St. Augustine, covering 17 counties in Florida, regularly welcomes over 130,000 worshippers across 25 parishes. Roughly 15,000 followers of the Church of Jesus Christ of Latter-day Saints live within the Jacksonville area. Other faiths represented within Jacksonville’s communities include Islam, Judaism, Hinduism and Buddhism. Jacksonville has several burial grounds distributed across the city. Evergreen Cemetery, established in 1880, welcomes those of all faiths and stretches across 167 acres. 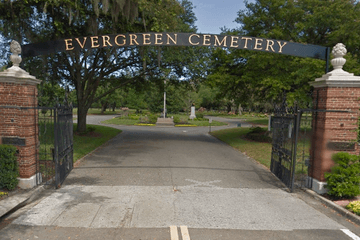 On the west side of St Johns River are cemeteries such as Edgewood and Riverside Memorial Park, while the east of the city is home to Arlington Memorial Park and Oaklawn Cemetery. Be aware that funeral arrangements in Jacksonville are regulated by Florida state law. This means that embalming or refrigeration is a legal requirement if the burial or cremation will not take place within 24 hours of the death. Florida state law does not prohibit burial on private land, but it is essential to check county zoning ordinances. You can further discuss legal requirements with your chosen funeral home. Find a local Jacksonville funeral home now by searching by area or ZIP code. You can order search results by best rated, most reviewed or nearest. Simply click on a funeral home’s profile page to find out more, read customer reviews, and to get in touch to begin making funeral arrangements for your loved one.